A daily record, especially a personal record of events, experiences, and observations; a journal. 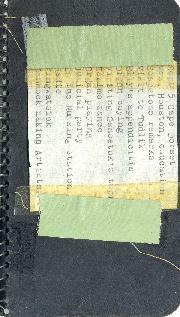 File contains two spiral-bound diaries kept by Barbara Hinds between August 25 and September 5. The diaries record Hinds' activities in Cape Dorset, Nunavut. File contains three spiral-bound diaries kept by Barbara Hinds between July 12 and August 25. The diaries records Hinds' activities during a trip to the eastern Arctic. 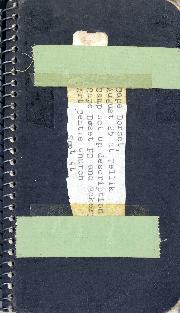 Item is a spiral-bound diary kept by Barbara Hinds between August 25 and September 5. The diaries record Hinds' activities in Cape Dorset, Nunavut.